People that reside outside France seeking exceptional medical services that cannot be facilitated locally. They can register and pay for a subscription, ask for an appointment for a specific medical speciality or a specific doctor, ask for tourism offers in France, Pay for non-medical extra services facilitated by Doctor France, make a list of favorite doctors. Doctors and Clinics looking to service patients from abroad. 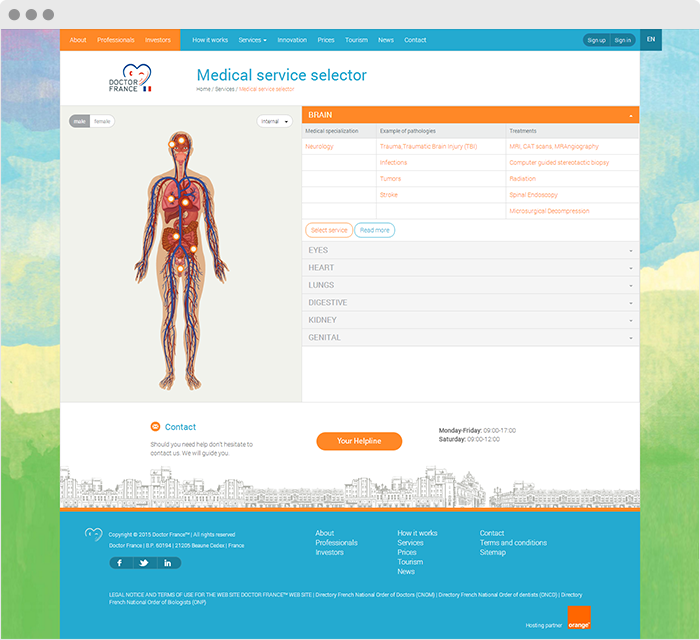 Doctors have a comprehensive management console where they fill in their profile and also their schedule, locations, diplomas, replacements. They can also manage their appointments agenda. Clinics can also manage doctor accounts. 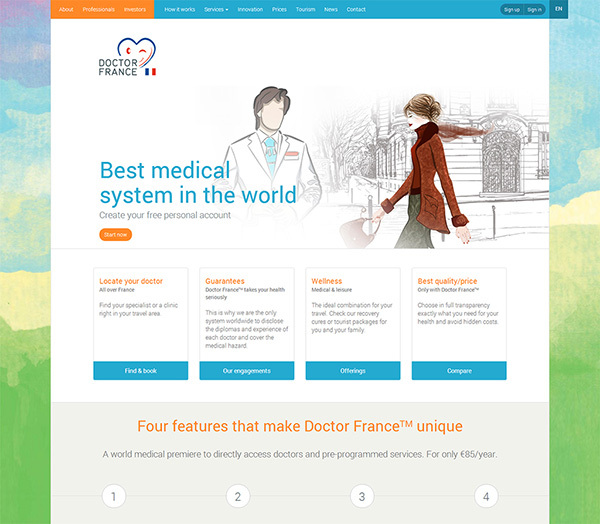 Concierge account of Doctor France which facilitates the communication and appointments between patients and doctors and takes care of other non-medical services facilitated by Doctor France.